Hello! My name is Tracey and I live in Melbourne’s inner north with my husband Shaun, our three young kids, and our beloved dog Bella. Needless to say, our house is a busy one! My love of craft and creating began at an early age and I can remember spending many hours hunched over a sketch book, a sewing machine, or my craft collection as a child. A tin box set of Derwent pencils were my prized possession! However, studies took over in my late teenage years, and my creativity fell by the wayside as I completed a science degree at Uni and moved through my career in research. It was during my mid 20’s that an old friend came back into my life – a friend who I had often crafted with in our childhood. I think connecting with her again rekindled my creative spark! My friend was heavily involved in the market scene, and I began helping her make and sell various items at markets around Victoria. During this time, I began experimenting with my own creations. I started making beaded jewellery and I also completed a silversmithing course with another good friend, but I was really keen to try something different. 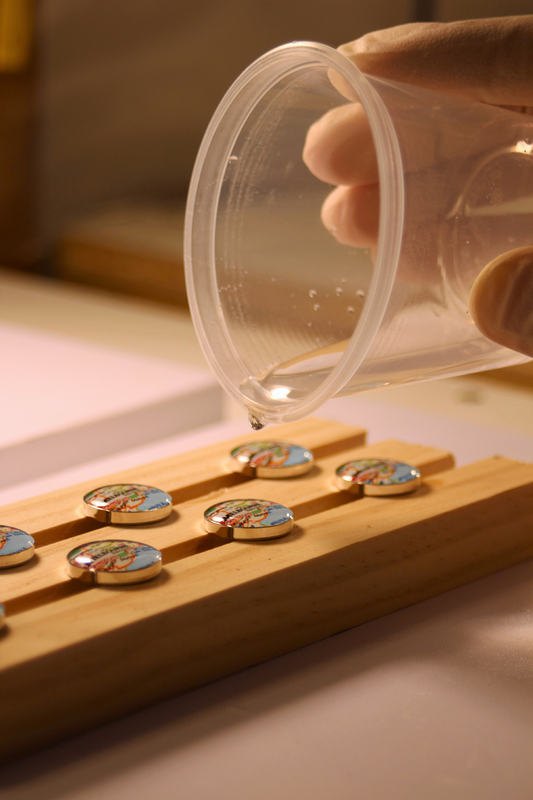 I can’t remember exactly why I thought of resin, as it wasn’t widely used back then (15 years ago or so), but I do remember wanting to use everyday objects in jewellery, and thought resin might be able to encase them and display them well. Through the help of the trusty Yellow Pages, I found a shop that sold resin (mainly for fixing boats!) and began experimenting. 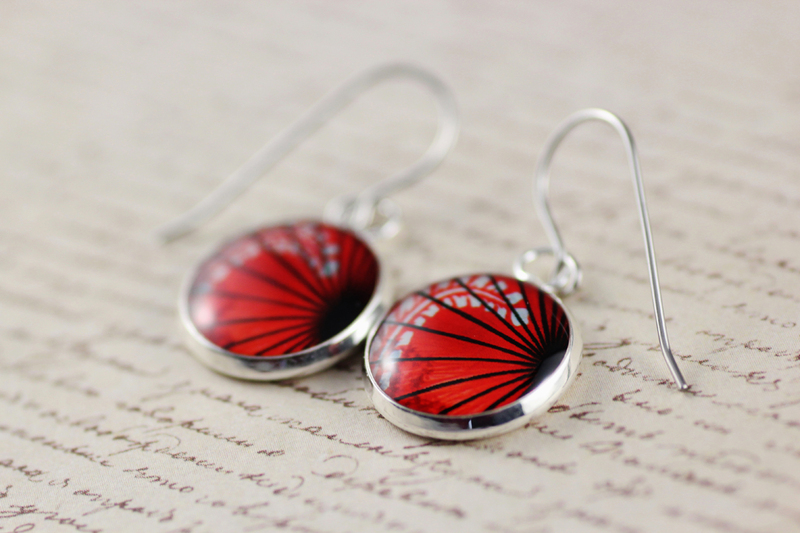 After reading the instructions on the packet and through pure trial and error, I managed to create a range of jewellery, mainly necklaces and brooches, that did quite well at the markets. As I wanted display cards and tags for my pieces, I needed a name. I came up with “Resinate Designs” on a pub crawl with Shaun, my soon-to-be husband at the time, writing possible names on beer coasters! Then quite by luck, a number of people who owned or worked at retail shops saw my jewellery at the markets and asked me to stock their stores. I left the market scene and focused more on wholesale supply, picking up another handful of stockists through word of mouth and suggestions from friends. So there I was - in my late 20s, held a full-time job as a Research Fellow, and my little hobby on the side was beginning to grow and expand…. then I had children! While I was able to continue stocking the handful of shops when the kids were little, I simply didn’t have the time to do anything more as I was the primary carer and Shaun was working full-time. Life continued this way until two years ago - Shaun had become very unhappy in his job and wanted to move on. 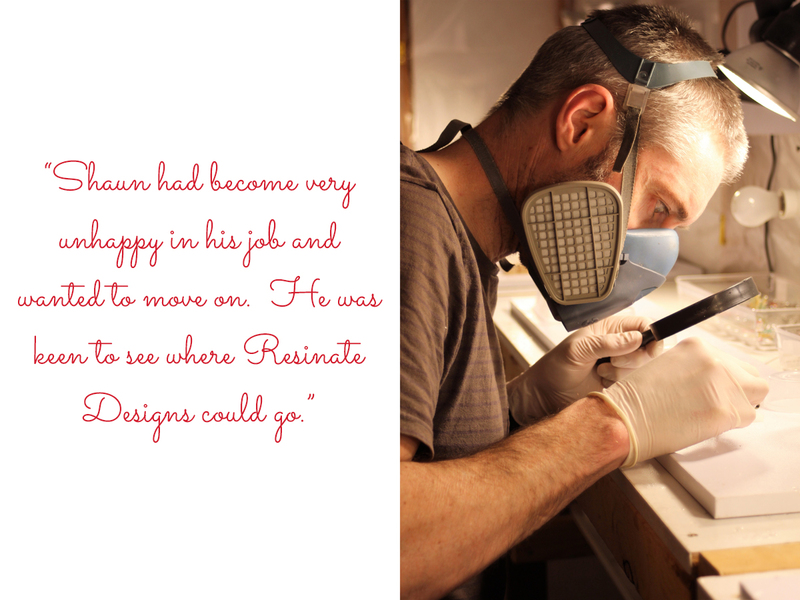 He was keen to see where Resinate Designs could go. It was a difficult decision to make: financially, it was a big risk! But we jumped off that cliff and turned my little hobby into a family business. 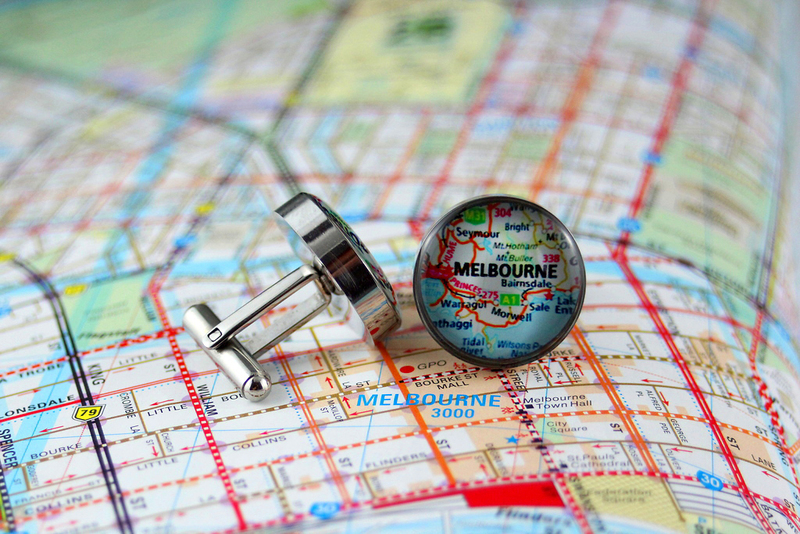 When my husband first started working with me, we had 9 stockists around Melbourne. Two years later, we now have over 70 Australia-wide! We began selling on Made It around this time too, and we also have our own website. 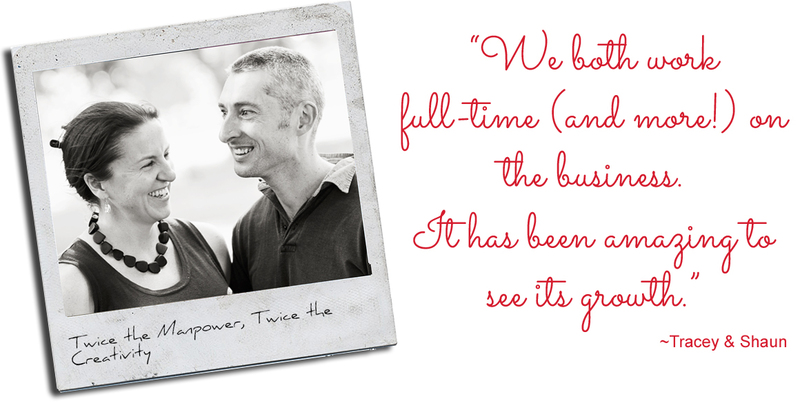 Our kids are now all in school, which means we both work full-time (and more!) on the business. It has been amazing to see its growth. 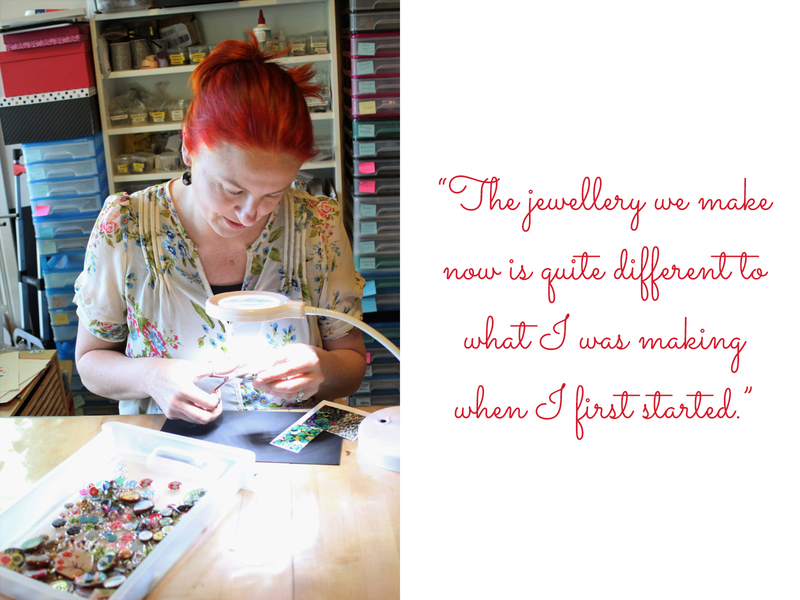 The jewellery we make now is quite different to what I was making when I first started. 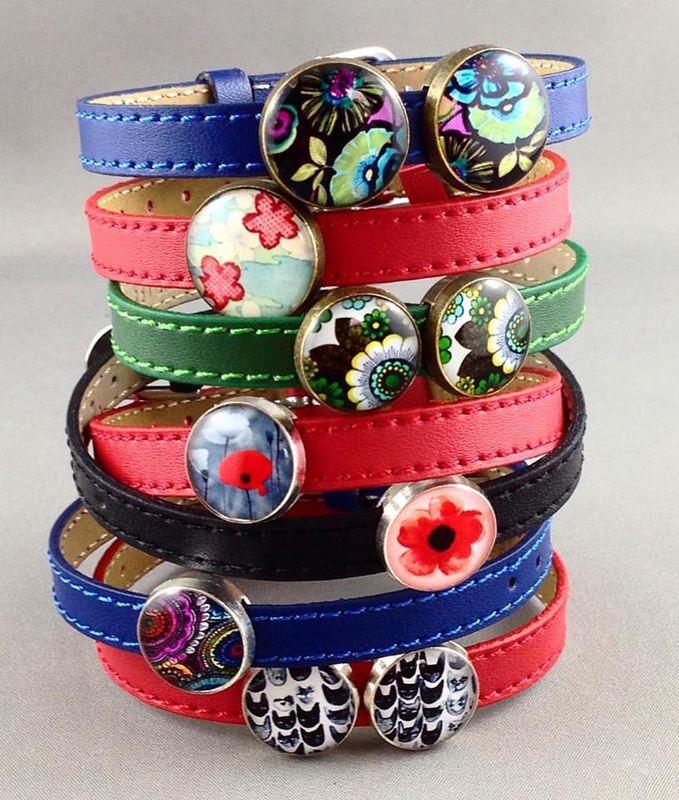 Gone are the velvet ribbon and bead necklaces! 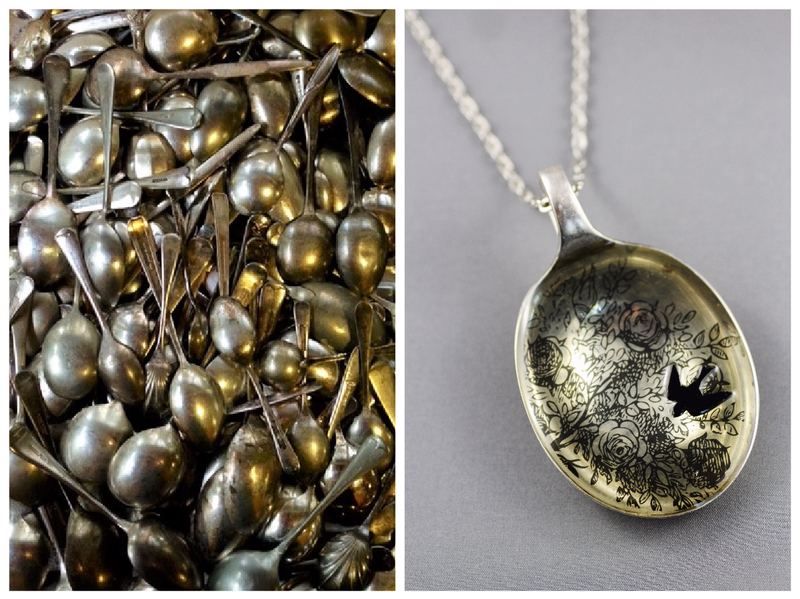 We also make a wider range of styles: necklaces, brooches, earrings, bracelets, rings, cufflinks and, my favourite – pendants made from recycled vintage spoons. 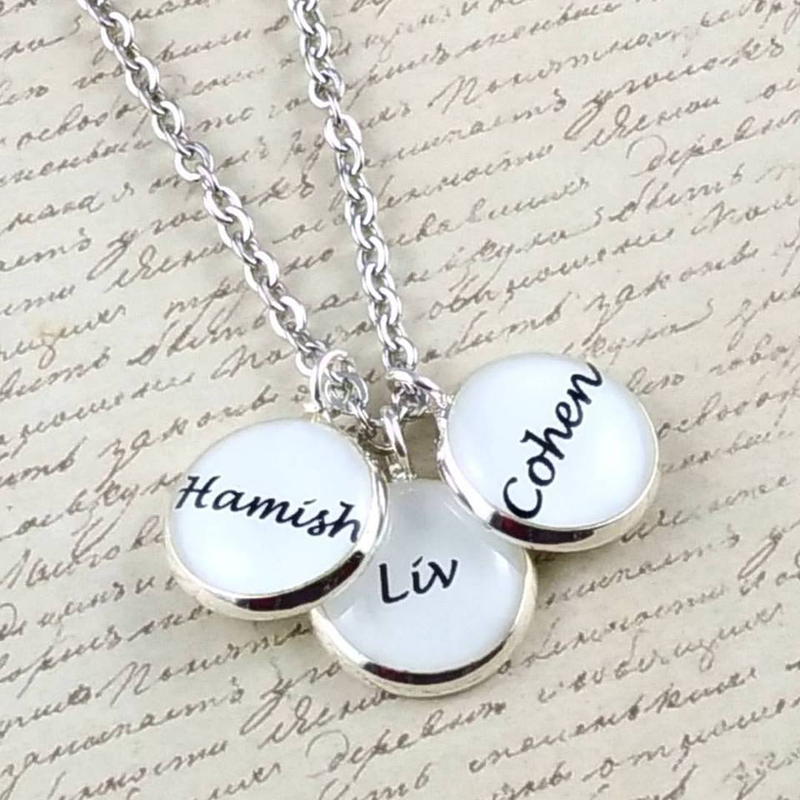 We offer a range of designs and images, and can also customise individual pieces upon request, which I like doing the most. My workspace is not exactly inspiring – unless you call washing piles, scattered toys and dirty dishes creatively stimulating! Our jewellery is made at our home: my husband crafts the pieces in our backyard shed (now that I’ve taught him the process) and I handle everything else from my living-room desk and dining room table. Given we don’t have a separate space for the business, this usually means the kids get involved, from wanting to create their own designs to asking for pocket money to help do parts of the work! Our jewellery components, tools and finished pieces continually threaten to overtake our living space. While there are many positives to this arrangement, such as saving business rental costs (and travel time to and from work! ), it also proves difficult to switch off from the business given it surrounds us 24/7. 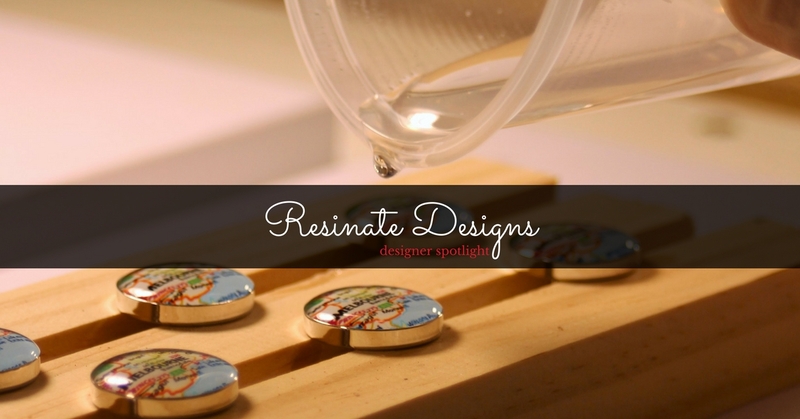 Ideally, I would have a dedicated space for Resinate Designs but I don’t see that happening for quite some time! I love bright, bold colours and eye-catching patterns. But I also like classic designs and faded vintage prints. I think that’s why Resinate Designs appeals – there’s something to suit everyone’s taste! 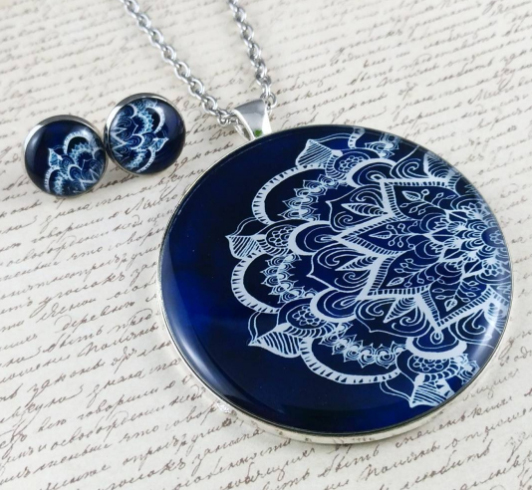 While I enjoy creating the pieces I like myself, I am mostly inspired by the customer – I love individual requests, where I can create something unique and special for that person. I recently had an enquiry from a person who wanted to somehow include a fragment of the moon they had purchased into a piece of jewellery. After many discussions and fine-tuning, we came up with a very special piece indeed. 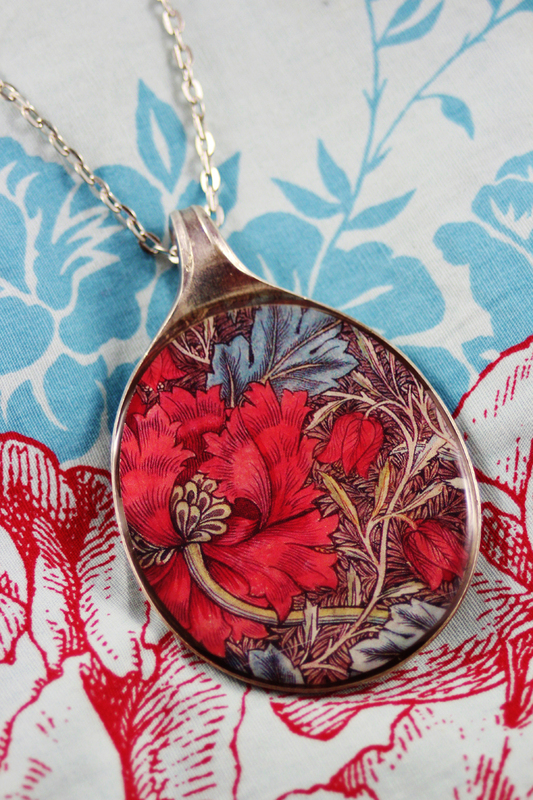 I also love collecting interesting items that could be used in jewellery, particularly vintage or second-hand objects. I am often found sifting through op shops and my friends know who to contact when they are discarding various items! This year, I created a range of upcycled pieces for a stockist in NSW, utilising some of the bits and pieces I have been collecting over the years. My craft collection was big as a child, but now it is enormous! Since beginning our business, I have become much more aware of the “Shop Small / Shop Local” movement. There are so many creative people out there, so many people passionate about what they do, and who want to make a living doing it – if we can support those small businesses rather than big corporations, there would be a lot more happy people in the world! Made it is a great platform that enables creative people to sell their items easily and affordably. I love that anyone with an idea can become a seller, and Made It can provide them with a sea of potential customers. You don’t need to have an arts degree, or to be a whiz at marketing…. 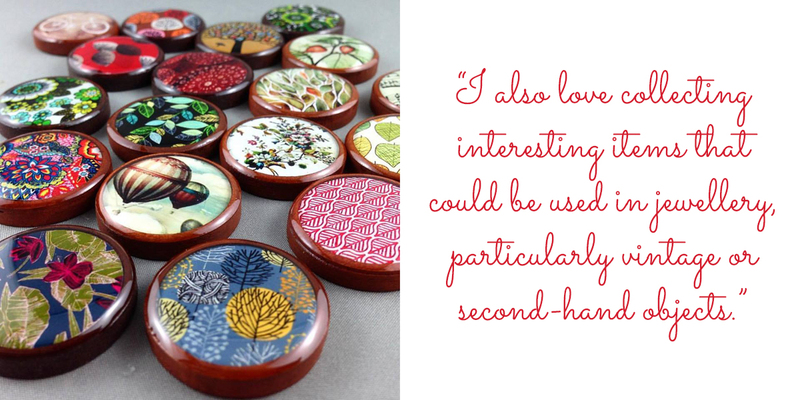 anyone who creates a lovely handmade item can sell to the world. It’s enabling!